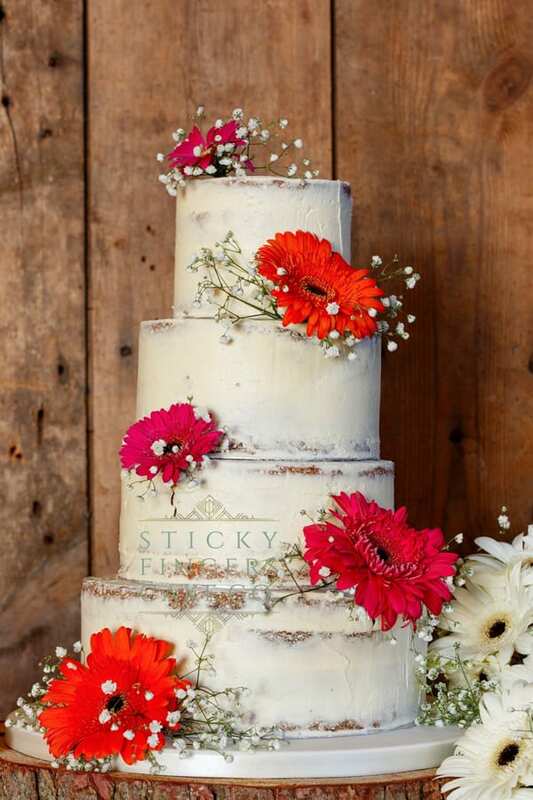 Kelly and Mark chose to have a four tier semi-naked wedding cake, simply decorated with super-bright gerbera and gypsophila supplied by their florist and displayed on one of our huge log stands. Scrummy flavours of Cookies and Cream, Cherry Bakewell, Coffee and Walnut and Traditional Lemon Drizzle. Hope you had the most amazing day!